This spacious, 1851 SF "WYNDHAM 3/2 COURTYARD VILLA (1851 sf) has a TWO-CAR GARAGE, and a GORGEOUS WATER VIEW! 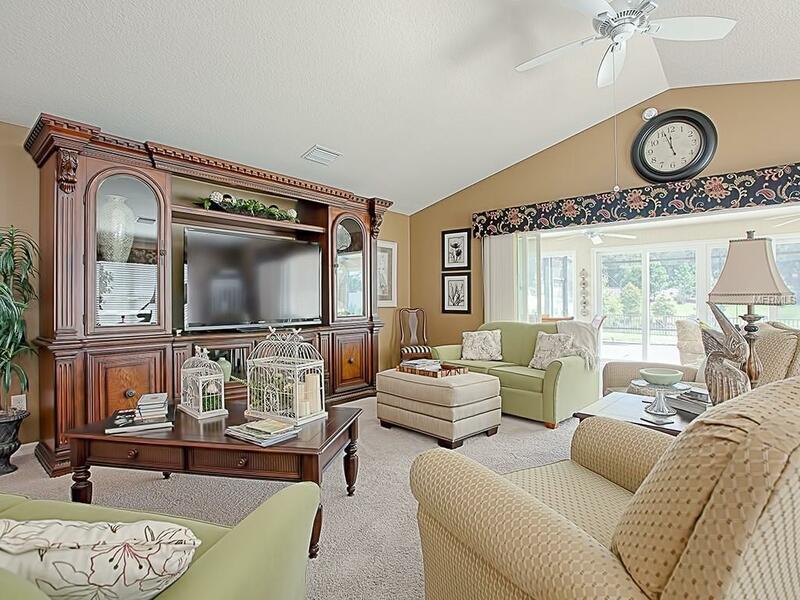 Located across from BROWNWOOD PADDOCK SQUARE in the Village of COLLIER AT ANTRIM DELLS, this location offers all the conveniences! The home features lovely decorator colors and custom window cornices. The open kitchen has rich CHERRY cabinets, and GRANITE counters. STAINLESS appliances include a smooth-top range, side-by-side refrigerator, dishwasher and a space saver microwave. A large breakfast bar, a center island, a pantry, tile flooring, and under and over cabinet lighting are additional features. The OPEN dining and living rooms feature VAULTED CEILINGS. There are sliding glass doors that open from the living room out to the east-facing, GLASS-ENCLOSED lanai which offers a SERENE WATER VIEW! 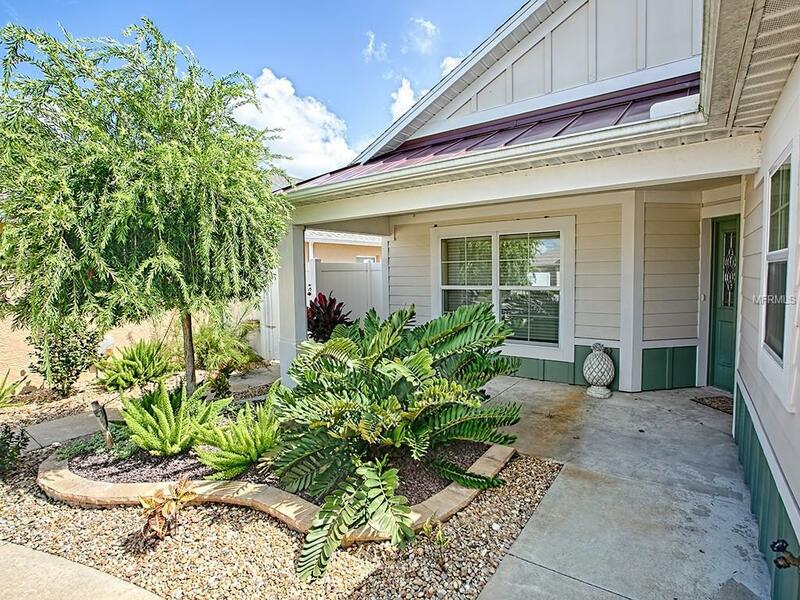 The spacious courtyard features a large screened lanai with plenty of room for a pool, if desired. The master bedroom has a TRAY ceiling and its own en suite bathroom with GRANITE counter, dual-sink vanity, tile surround shower and TILE flooring. There are two comfortable guest bedrooms, and a guest bathroom featuring a GRANITE counter, tile flooring, and glass doors on the shower/tub combo. 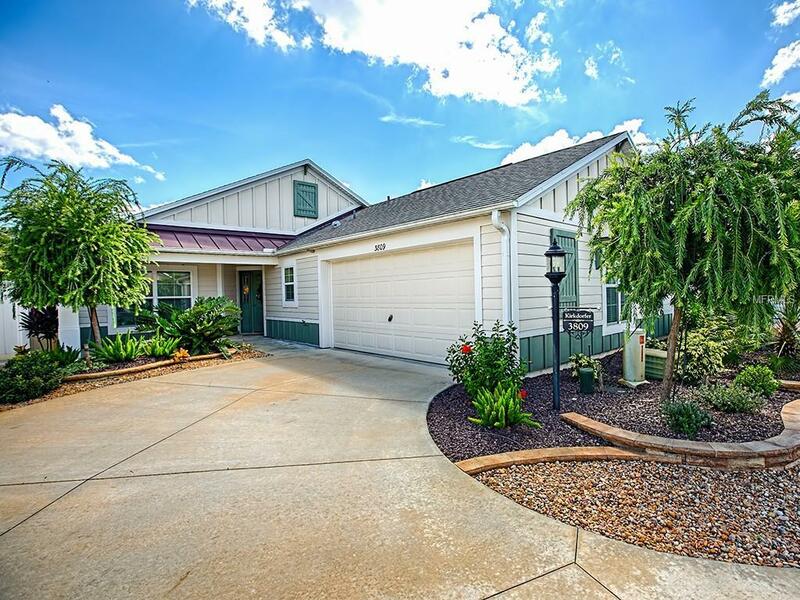 There are numerous upgrades throughout this lovely home including a Kinetico water softening and Reverse Osmosis system, utility sink in garage, and a Solar tube in the kitchen. 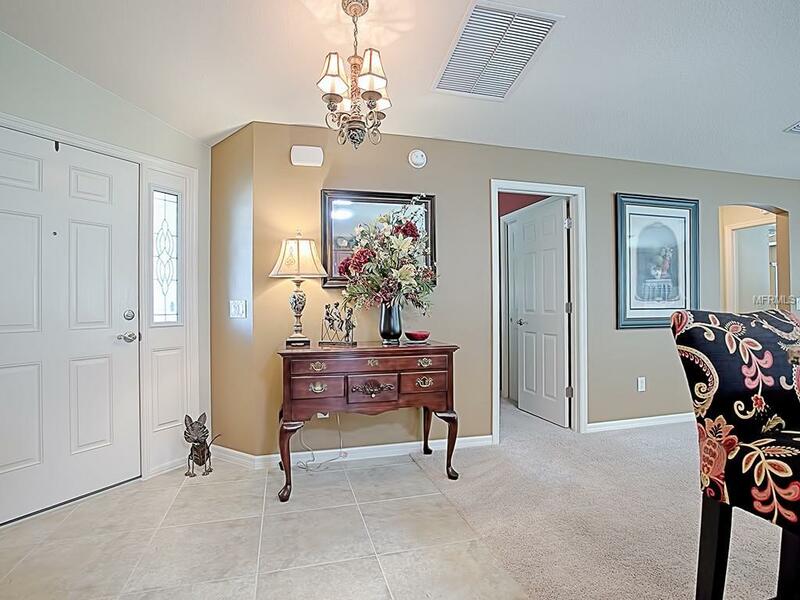 This LOVELY villa is so handy to Brownwood Town Square and shopping, golf courses, restaurants, and all the amenities of The Villages.